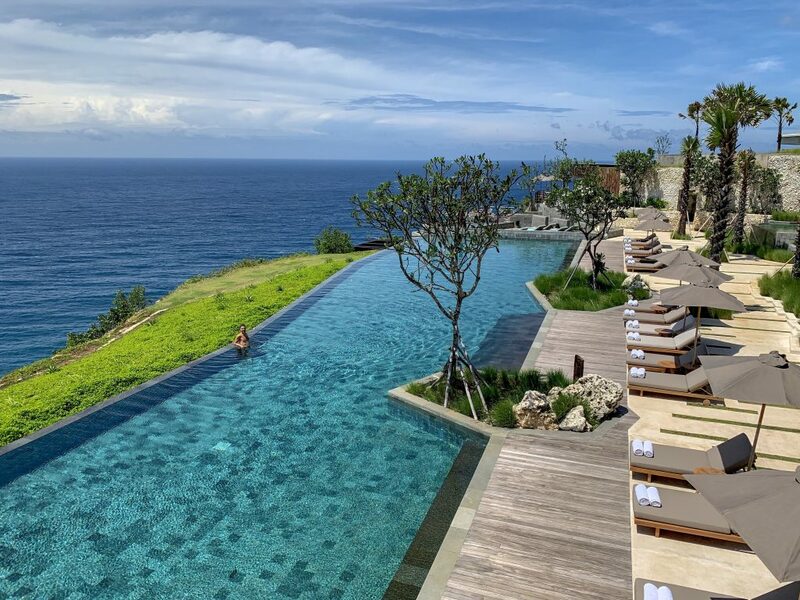 Last weekend we stepped into a dream of Balinese hospitality and elegance at the Six Senses Uluwatu resort. This brand new property opened last year (2018) and is about to become one of the top accommodations in Bali. Set on a roughed cliff on the southern tip of the island, the luxurious resort boasts panoramic ocean views where it seems like the pool, sky and ocean all melt together. 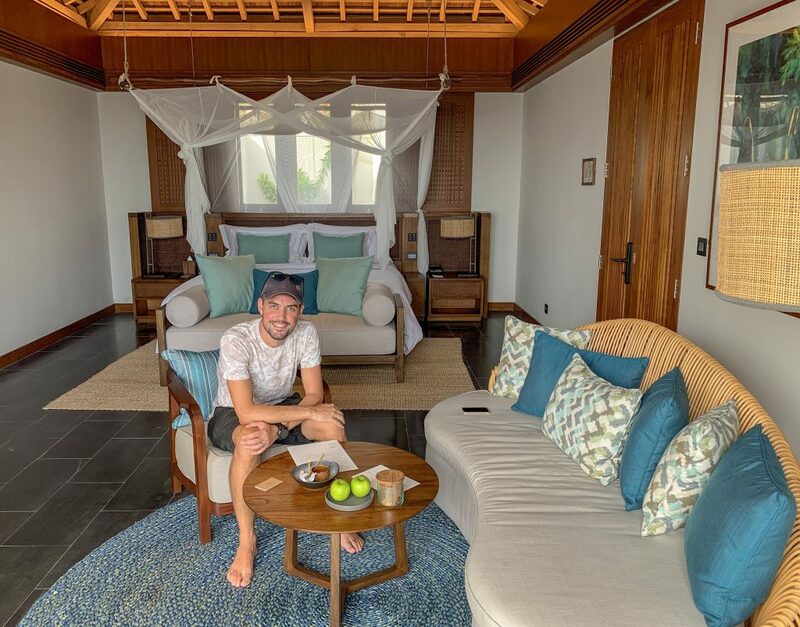 This was our second Six Senses experience – after Koh Samui in 2014 – and we were beyond excited to stay at their newly opened resort. The brand reflects an image of intimacy and absolute world-class creating high customer expectations. The tone was set from the minute our car drove along the bamboo lined entrance path – the first impression from our driver says it all “very nice hotel”. As the car approached the entrance, it became clear that the spotlight was on the dramatic ocean view. This breathtaking scenery is the property’s key asset and we felt in love with it from the minute we arrived. Our GEM (Guest Experience Maker) Sri guided us through the resort in a “buggy”, a golf cart you can request to make your trip to the infinity pool, the cliff bar or the restaurant effortless. We noted that each villa fitted seamlessly into the natural environment of the island. A first glimpse of our one-bedroom clifftop villa blew our mind away. The villa offers a sophisticated look that pairs perfectly with the oceanic colours and the natural wooden ceiling. 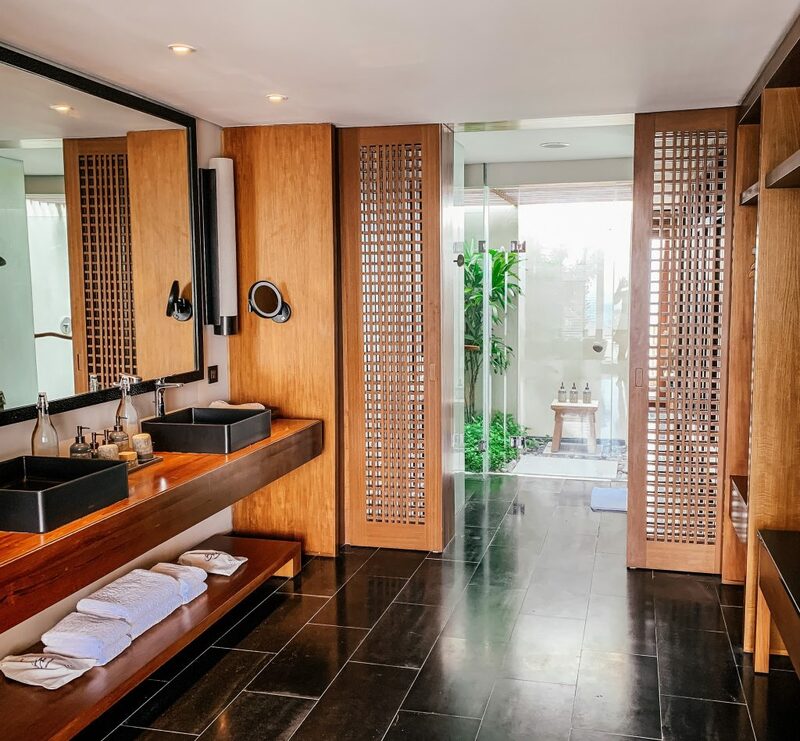 From the bedroom you step into a large bathroom which features an ocean-facing bathtub and two showers (two outdoor + one indoor). To top it all, the villa merges smoothly into a terrace with private pool. We could have stayed forever at our private pool but decided to try out the infinity pool as well. Surprisingly, there was no one else at the pool and we had the panoramic ocean view just for ourselves. 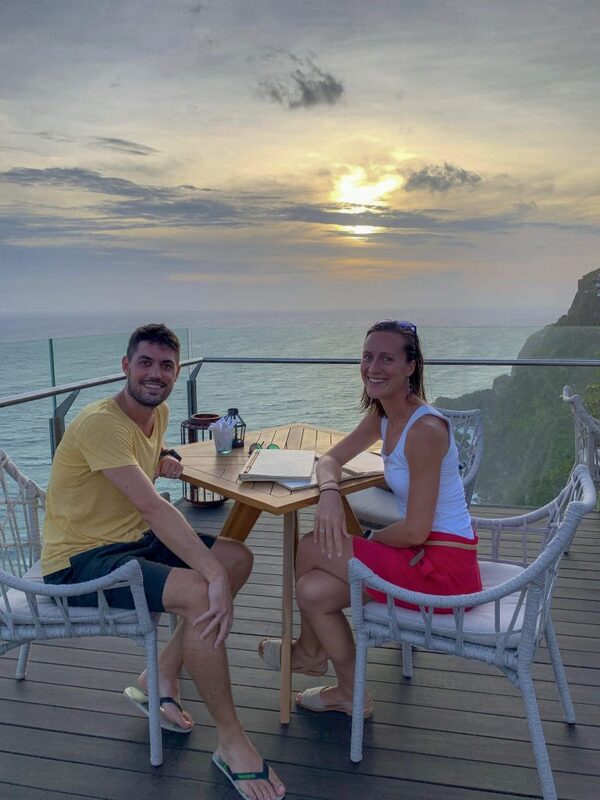 The view is just spectacular – you can even spot turtles – and it’s the perfect scenery for sunset drinks at the cliff bar. Local touches abound, from the amrak-inspired cocktail (Balinese spirit) at the cliff bar to the in-villa lecture featuring Indonesian topics. 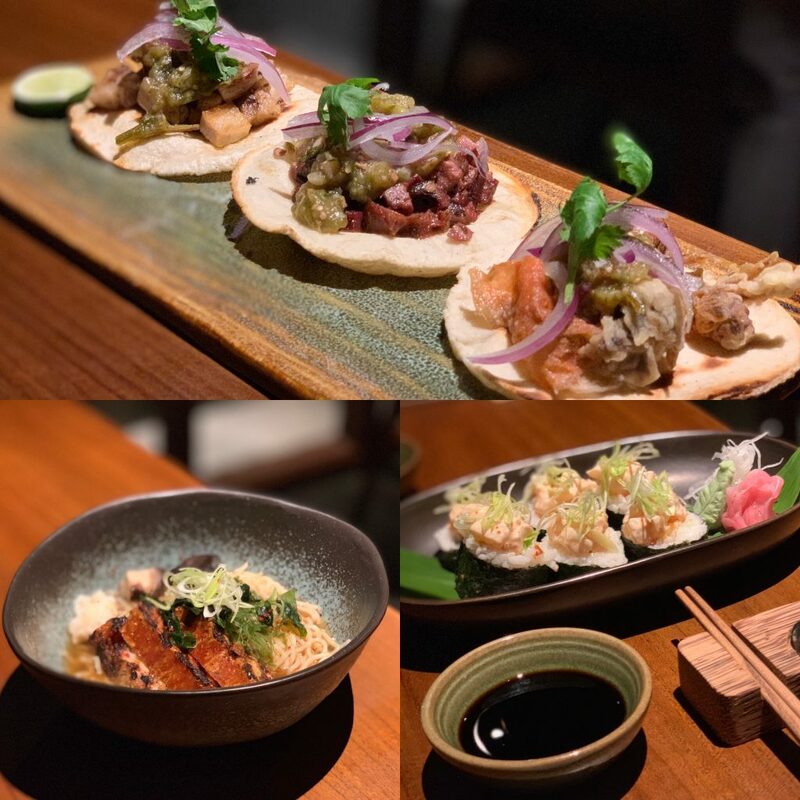 The food at the 3 restaurants – Crudo, Rocka and Rocka Edge – combines Balinese ingredients (some of them homegrown in the hotel’s backyard) with Mexican, Peruvian and Japanese flavours. Mexican chef Ricardo Luján has created an innovative menu that left us mouthwatering. He greeted us at our table, we chatted for a while and he prepared us a combination of home-made tacos, Crudo roll and pork belly ramen. Absolutely delicious! 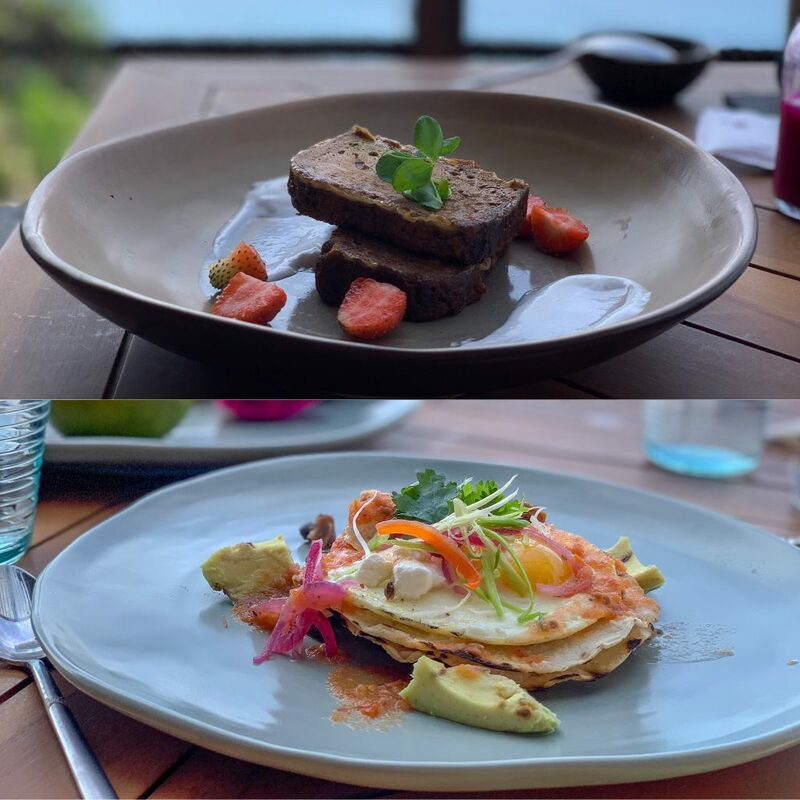 Breakfast was served at Rocka restaurant offering sweeping ocean views. A Western and Asian-style buffet including a tropical fruit stand and a fresh-cut jamón ibérico – this came as a very pleasant surprise to us, especially after being away from home (Spain) for more than two months – plus an à la carte menu with delicious (and unlimited) brunch options. What sets this property out from other luxury hotels in Bali is the attention-to-detail and the level of service. A welcome note with chocolate fondue upon arrival at our villa, complimentary homemade ice cream, the softness and fresh smell of the sheets/towels and the big smile of the local staff who loved chatting with us – special thanks to Erna and Dodi of the pool bar. It’s all in the details and at Six Senses they know how to do it right. Needless to say that the property far exceeded our expectations. 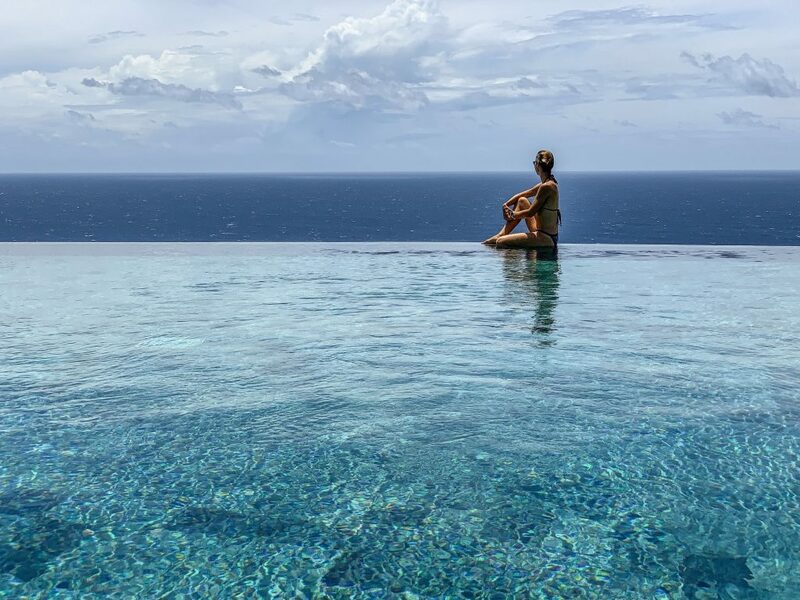 The Six Senses Uluwatu has been positioned as one of the top resorts in Bali and we believe that the guest experience will only get better with time. Are you traveling to Bali soon on a special occasion? Do you want to share an unforgettable moment with your partner or family? Get pampered at this stunning new resort! Contact us for a tailor-made offer or book your stay at this world-class resort now. 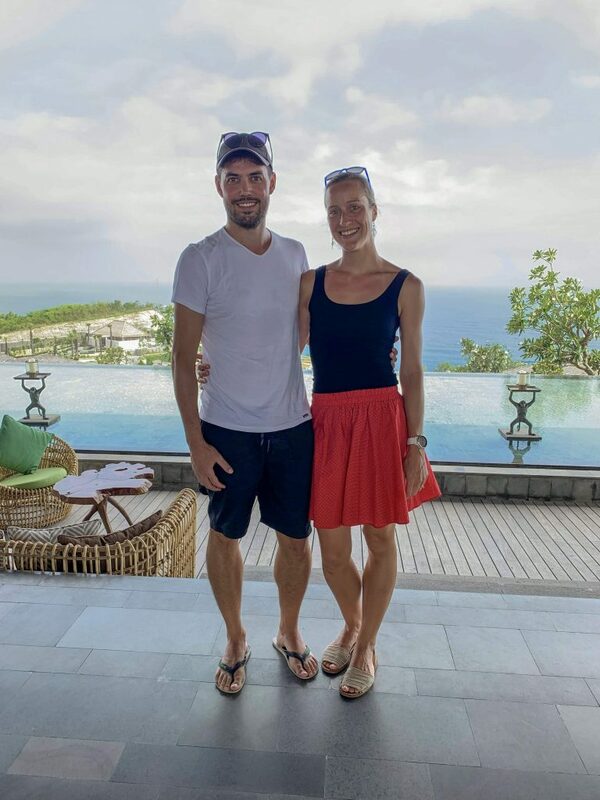 Thank you Six Senses Uluwatu for a wonderful stay, we hope to be back soon!